Previously qualified small animal veterinary nurses, i.e. RVNs, can study the Equine Pathway and top-up to gain the RVN (Equine) qualification. This qualification comprises six Equine Pathway units for students who have completed the Small Animal Nursing Progress Log previously. Students attend the final three study weeks of the Full City and Guilds Level 3 Diploma in Veterinary Nursing (Equine Pathway) programme; which contain the specialised equine course content necessary for completion of the course. Students also attend a final OSCE crammer session in preparation for completion of the Equine Pathway OSCE stations. 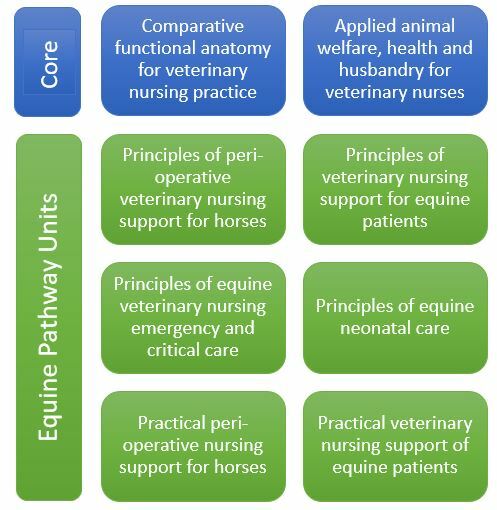 Note: students repeat core NPL units VN3 and VN4, but are only required to log equine-specific cases within these units. In addition to distance learning material and study weeks, students are required to complete practical training within an RCVS accredited Training Practice. 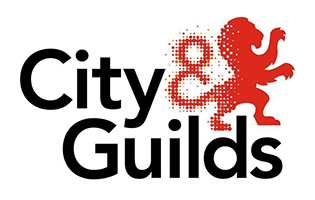 Unlike the City and Guilds Full Diploma, there is no minimum training hours requirement as the student will have already completed their required hours via their initial RVN qualification. However, sufficient time needs to be spent in training to ensure exposure to the cases required for completion of the NPL. a minimum of three hours of structured training per week – training provided by the student’s clinical coach targeted towards NPL completion or preparation for OSCE examinations. a minimum of three hours of independent study time during paid working hours* – time allocated to the student for the completion of their distance learning material. In the event of busier periods where study may not be possible, it is expected that the opportunity will be given for the student to make up this time at a later date. reasonable access to their clinical skills coach on at least two days per week – the clinical coach should be available to work with their student in order to provide additional support alongside the structured training hours. *If a student is completing their training hours in practice in a part-time agreement, their independent study time during paid working hours should be provided on a pro-rata basis. For further information regarding the responsibilities of the Training Practice and the terms of the Memorandum of Understanding with TOCES, please refer to the “Veterinary Nursing” tabs above. Comparable qualification to the above. e.g. ACOVENE Accredited veterinary nursing qualification. There is no minimum hours requirement for the Top Up programme as students will have already completed the required number of hours for RCVS registration. Therefore a placement within a Training Practice is only required for completion of the Nursing Progress Log (NPL) and to work with the cases required for the case study based summative work assignments. Applications for students outside of the UK are reviewed on a case by case basis as there may be different entry requirements depending on the country where your qualification was completed. Please contact TOCES to receive advice regarding this. If you reside outside of the UK your placement Practice will need to apply to become an RCVS Accredited Training Practice. TOCES can arrange this process. Please refer to our for Veterinary Practices page for more information. To ensure practices are able to provide a suitable training environment they must be approved by the Royal College of Veterinary Surgeons as a *Training Practice (TP). If a practice is not already a TP TOCES will arrange the approval process. For further information about becoming an approved RCVS Training Practice please see How to become a Training Practice. *Practices that do not quite meet the TP criteria may be eligible to become an aTP and work with TOCES and other TPs to provide the necessary training. The Legal and Professional Framework. Veterinary Surgeons Act 1966, Veterinary nursing and the Veterinary Surgeons Act 1966, definition of veterinary surgery, what can be done by people other than veterinary surgeons, e.g. veterinary nurses, qualified veterinary nurses, student veterinary nurses. Schedule 3 to the Veterinary Surgeons Act 1966, equine dentistry, Farriers (Registration) Act 1975, Medicines Act 1968, Veterinary Medicines Regulations 2008, Welfare of Animals in Transit Order 1997, Animal Welfare Act 2006. Veterinary physiotherapy and animal therapy, regulatory bodies. Communication skills, methods of communication. Listening, active listening, communication styles. Dealing with difficult clients/emotions, empathy, non-verbal empathic response, practice and feedback. Breaking bad news, preparation, responding to emotional cues, blocking behaviours, giving information, closing the consultation. Dealing with the angry client. RCVS guidance on communication when providing veterinary services. Planning Nursing Care. Nursing models, ‘Activities of Learning’ (Roper, Logan and Tierney, 2000), Universal Self Care Requisites (Orem, 2001). Nursing care, assessment, admission form, equine passports, informed consent. Nursing plans, clinical records, daily record sheets, abbreviations used in clinical record keeping, blood tests. Micro-organisms, bacteria, viruses, fungi, parasitic protozoa, prions, the immune response, immunity. Hospital accommodation, loose boxes, heating systems, examination/treatment rooms, induction/recovery box, operating theatre, veterinary equipment, imaging equipment, theatre and recovery, laboratory. Cleaning and maintaining hospital areas. Cleaning and maintaining surgical instruments, sterilisation, autoclaves, post-sterilisation storage, ethylene oxide sterilisers, cold sterilisation. Nursing in the Equine Veterinary Hospital. Clinical record keeping, management of the in-patient, nursing plans, behavioural assessments of in-patients, post-operative patient care, fluid therapy, barrier nursing, administering medication. Supply and storage of veterinary medicines. Discharging in-patients. Equine First Aid. What is an emergency? Aims of first aid in the horse, safety, triage, ABC of first aid, emergency action, first aid equipment, conditions requiring first aid. Wound management, healing, dressings. Bandaging techniques, benefits of bandaging. Treatment of puncture wounds, penetration wounds, contused wounds, tendon injury. Laboratory equipment and safe working practices. Glassware, microscopes, centrifuge, refractometers, analysers, diagnostic aids, cleaning and maintenance. Health and safety in the laboratory, key safety points to observe in the laboratory, laboratory use protocol, personal protective equipment. Disposal of laboratory waste: sharps, liquids, samples. Processes involved in the collection and preservation of pathological samples and specimens. Haematology: obtaining blood samples, correct storage of blood, vacutainers. Sample collection; urine and faecal collection: peritoneal and joint taps, skin scrapes, methods and storage. External laboratory analysis: sending samples to external laboratory, packaging postal samples, documentation. Processes involved in the processing of pathological samples and specimens. Haematology: manual PCV reading, RBC/WBC counts, preparing a blood smear. Cytology: urine analysis, measuring specific gravity, tracheal washes and bronchioalveolar lavages (BALs), faecal worm egg counts (WEC), bacteriology in practice, bacteriology in Thoroughbred reproduction, reproductive swabbing techniques. Biochemical analysis: biochemistry, glucose and electrolytes, serum biochemistry analysis, total protein reading, acid-base balance, muscle enzymes, liver enzymes, blood glucose, renal function, intestinal function.. Examining skin scrapes: ectoparasites, fungal infections. Faecal analysis: worm egg counts, endoparasites. Interpretation of results of laboratory diagnostic tests. Haematology: parameters assessed by haematology analyser, red and blood white cell parameters. Cytology: urine cytology, peritoneal and joint fluid cytology, normal parameters. Maintaining a surgical theatre environment that is suitable and safe for aseptic procedures. The surgical theatre environment: theatre layout, cleaning the theatre. Instruments: cleaning, maintaining and identifying surgical instruments, autoclaves, packing materials. 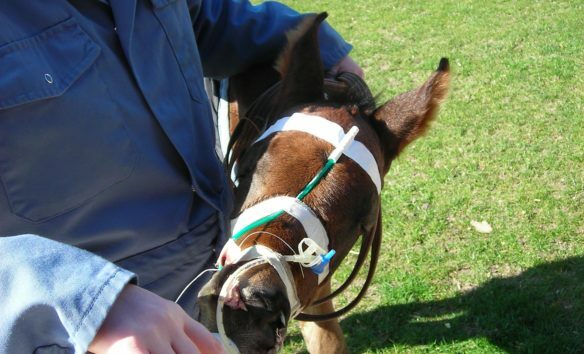 Preparation and positioning of the equine patient prior to surgery. Theatre list, patient preparation, preparing the surgical site, additional preparation of the patient prior to surgery, surgery in foals. Positioning; use of the hoist, positioning the operating table, positioning the horse on the operating table, positioning drapes. Preparation of personnel and equipment for surgery. Preparing for surgery: role of the theatre nurse, scrubbing up, gloving and gowning up, closed gloving, open gloving, laying out surgical tables and Mayo stands. Equipment and instruments: basic stitch kit, castration kit, trephining kit, foot care tools, dentistry tools, basic nursing equipment, electrical equipment. Suture materials: absorbable suture materials, non-absorbable materials, suture size, needles for suturing, suture patterns and techniques. Important non-infectious diseases that affect horses in the United Kingdom. Disorders/disease syndromes of the horse: diagnosis, management and treatment: recurrent airway obstruction, exercise-induced pulmonary haemorrhage, equine myopathies: exertional rhabdomyolysis, polysaccharide storage myopathy, laminitis, equine dysautonomia (grass sickness), head shaking, sweet itch, colic, gastric ulcers, oesophageal obstruction (choke), liver disease, equine Cushing’s disease, recurrent laryngeal hemiplegia, osteochondrosis. Hyperlipaemia, lymphangitis, enteritis, skin disease. Poisoning. Factors involved in the development of disease. Predisposing factors, age, diet, exercise, management, stress, neurology, allergy, toxins, poisoning, hormonal imbalance, frequency of occurrence, environmental factors. Heritability of disease in the horse. Principles of heritability of disease and predisposition to disease. The genetic basis of common equine diseases. Foal Management. Handling and restraint, leading, touch, transporting the mare and foal, discipline, general management, vaccination, exercise, parasite control, nutrition. The foal at foot, hoof care, passport requirements, weaning, castration. The Mare. Lactating mare, nutrition, abnormalities of the udder, insufficient milk production, mastitis, blocked teat canal. Equine Neonatal Medical Care. The neonatal foal, immediately post-partum, first hours, bonding, suckling, provision of adequate colostral immunity (IgG), passing meconium. Infective conditions of the newborn foal; neonatal septicaemias, joint-ill, diarrhoea, rotavirus, gastroduodenal ulceration, rhinopneumonitis, pneumonia. Non-infective conditions of the newborn foal: prematurity and dysmaturity, neonatal maladjustment syndromes, meconium retention, colic. Congenital abnormalities: entropion, ruptured bladder, button eyes, parrot mouth, hyperflexion (contracted tendons). Immunological conditions: haemolytic disease (jaundiced foal), combined immunodeficiency (CID). Neonatal intensive care: transporting the sick foal, the environment, maintaining body temperature, feeding the sick foal, laboratory support.